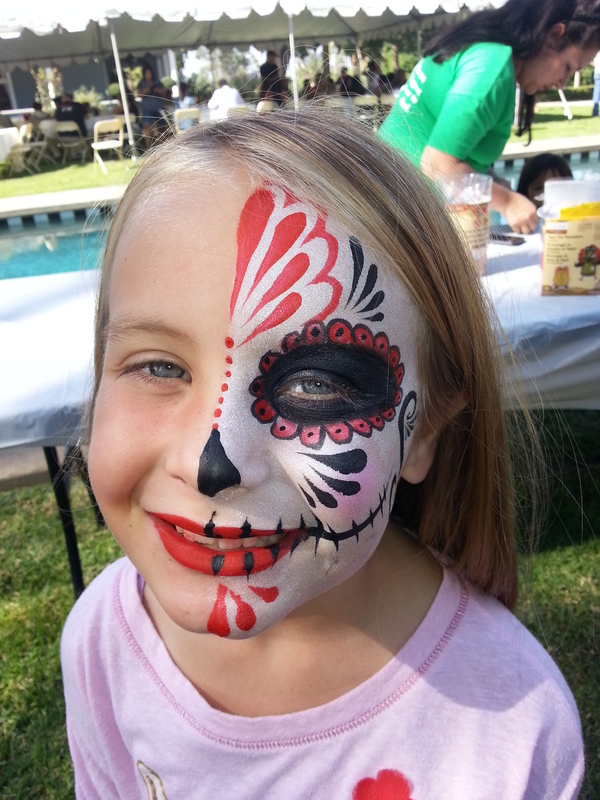 This entry was posted in Face Painter, Face Painter Inland Empire, Face Painter Orange County, Face Painting for Birthday Parties, face painting for kids, Face Painting for Themed Party, Holiday face painting makeup. Bookmark the permalink. We charge $50 for 1 face and $80 for 2 and require a $10 deposit to lock in the appointment that can be paid through paypal or by just giving me a card right over the phone. Please call me if you’d like to book an appointment! 888-750-7024. Thank you! Hello Aron! 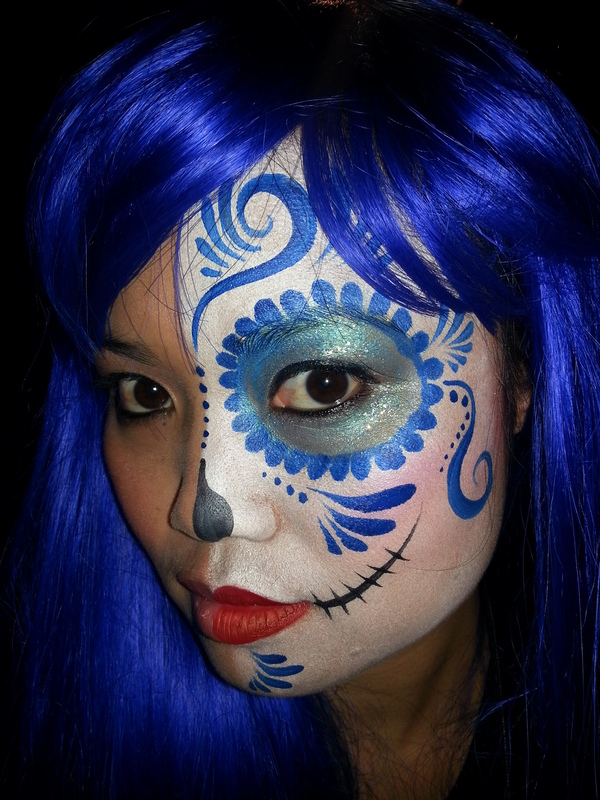 I am so sorry I am getting to this so late but just so I have the answer out there and you know, we charge $50 for a solo face painting/fantasy makeup appointment and $80 for 2. 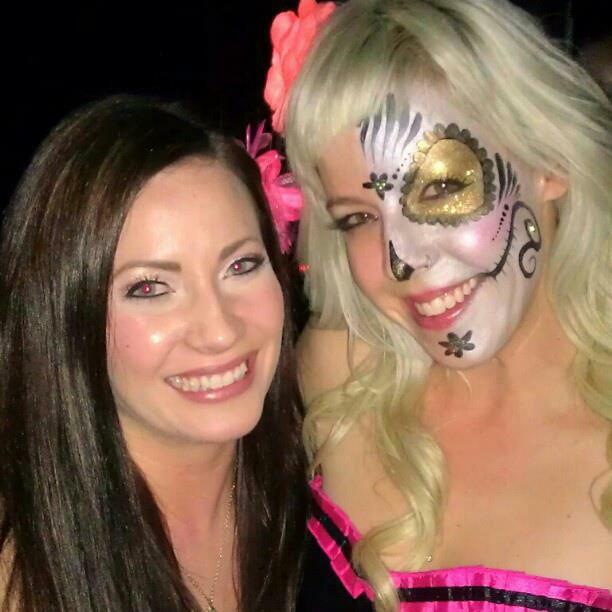 Me and all of my face painters are very advanced face painters and makeup artists and we do beautifully detailed sugar skulls and day of the dead masks. If you’d like to make an appointment for next year or anytime in between give us a call at 888-750-7024. Thank you! 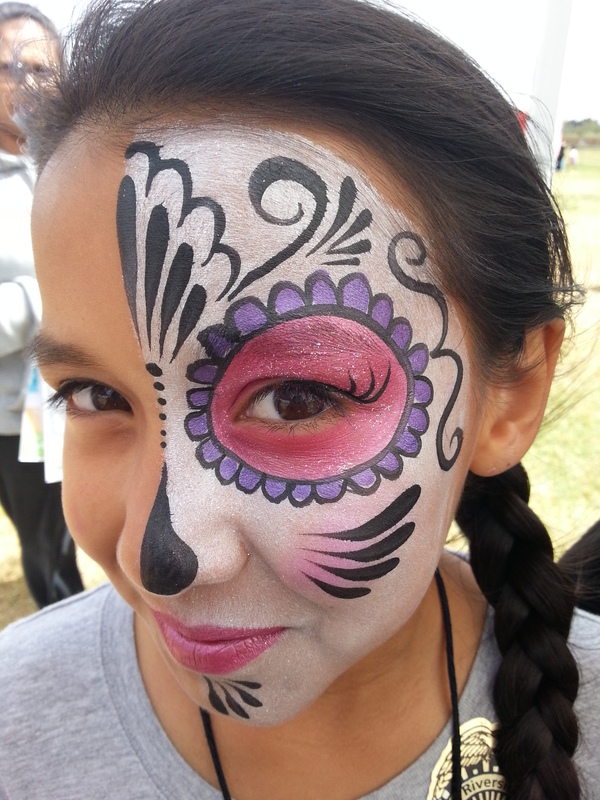 Keep in mind we also do birthday parties, company events and more all over the southern California area so keep us in mind all year long for face painting, balloon twisting, clown entertainment, princess characters and photo booth rentals.